On the 30th of December Jay Lavery shared with the world a side of himself that usually he reserved for close friends, at first it was just his facebook friends that enjoyed the uplifting video but soon his ‘secret’ was to come out! 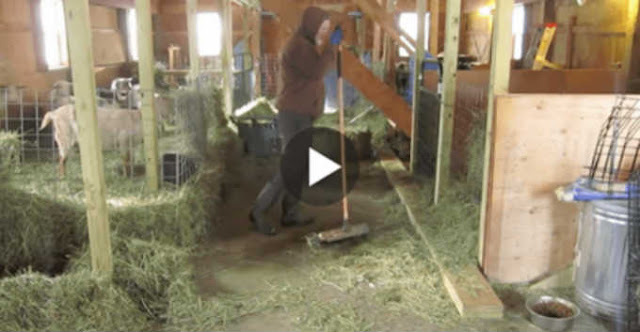 The New York Farmer uploaded the video of him dancing to Sia’s song ‘Cheap thrills’ while tending to his normal routine in the barn. Lavery is a fun loving guy and this is normal behaviour he explain to the Huffington post. The only thing that was different this time was the crazy number of people who were eventually going to see it. There has been a mind blowing response, but it didn’t all happen instantly Jay said. it has now been viewed a nearly 7 million time and shared over 100,000 times. Now that is what we call a viral video. It’s not just Jays dance moves that have gained all the attention, the sucsess of the video is also partly down to the story that goes with it. I think its safe to say that the video is clearly accomplishing just that, its a message to us all that no matter what gets in our way we have to find a way to do our best and enjoy life in which ever way we can. You can watch the uplifting and entertaining video below, we hope you enjoy it as much as we did and if so, SHARE. This post was republished from gohappiest.com. You can find the original post here.